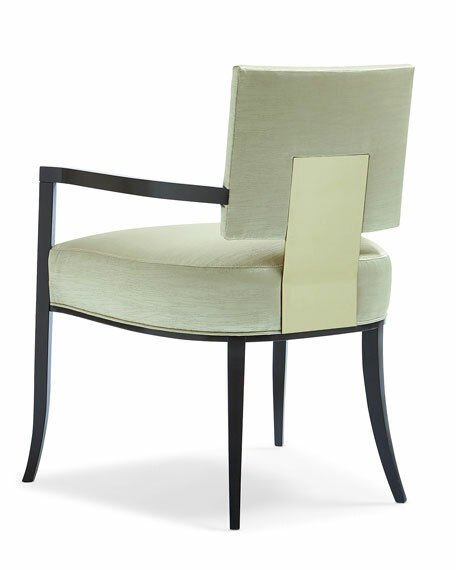 This contemporary arm chair takes on dramatic style when you view the wide gold panel that shines off its back. 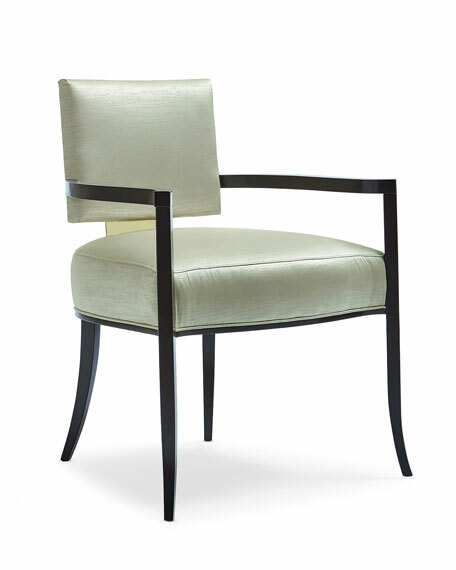 Neutral sateen fabric with a subtle moiré pattern fully surrounds the square upper back and seat cushion that rest on an exposed wood frame, sabre legs and gracefully curving arms. 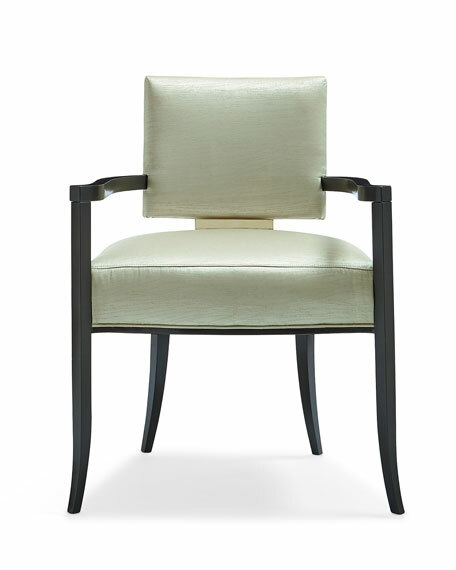 This is a low, klismos chair with truly polished appeal. 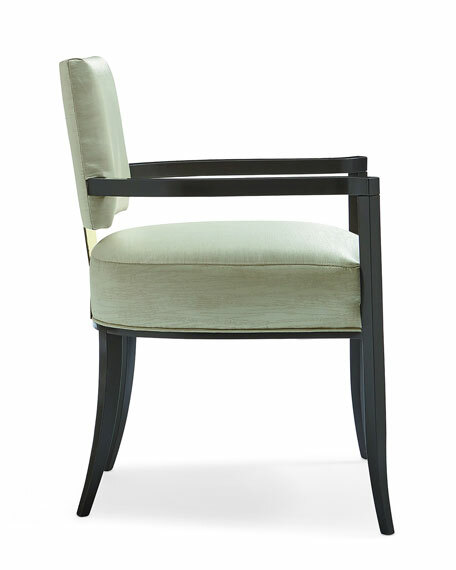 Klismos means, modern interpretation of the 5th Century BC Greek Klismos design, revived in France in the 1700s. Approximately 26"W x 24.5"D x 32"T.